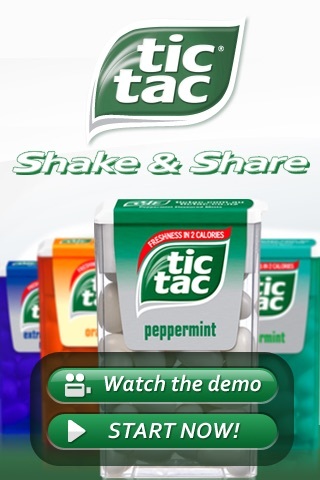 Discover the latest version of the phenomenon already enjoyed by iPhone users worldwide: Tic Tac® Shake & Share! 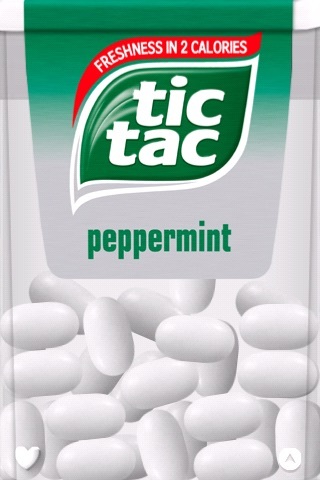 Can't live without Tic Tac®? 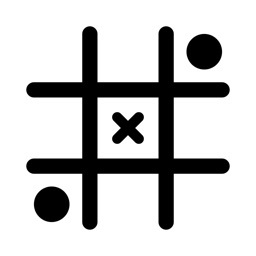 Now you can take them anywhere on your iPhone. 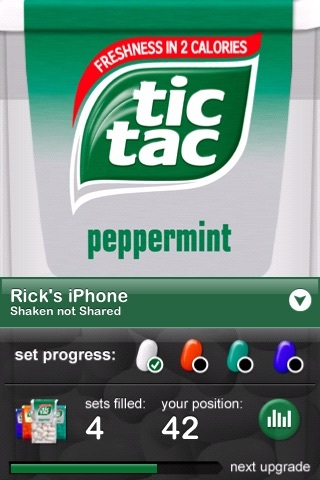 Shake it just like a real pack of Tic Tac®, hear that famous rattle and share with your friends - iPhone to iPhone! 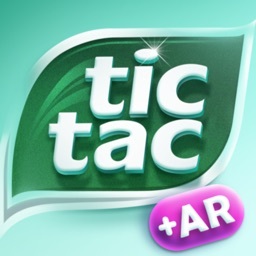 • Realistic Physics & Sound: Tic Tac® pills look, move and sound just like the real thing, so shake it up! 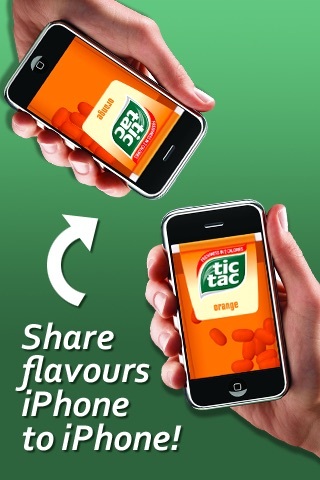 • Share Tic Tac® flavours wirelessly: Find a friend on the same flavour with an empty pack, then use your bluetooth connection to pour Tic Tac® pills from your device to theirs in real time! 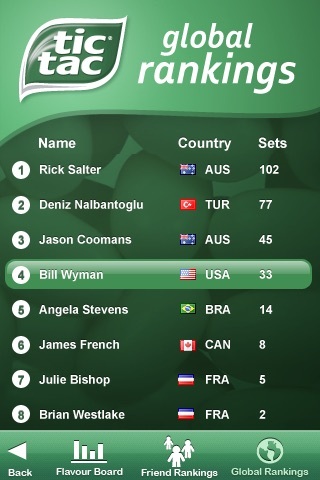 • Share your way to success: The more sets you complete, the better your position in the global leaderboard. 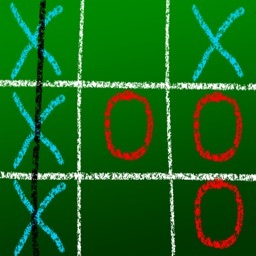 Check your progress against friends you have shared with, or the whole world! • Earn higher ranks the more you share: Are you "Shaken Not Shared", a "Freshman", a "Mover & Shaker" or something even better? Keep sharing to find out! 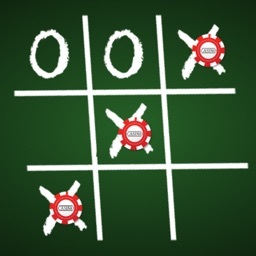 • Whose flavour is winning? 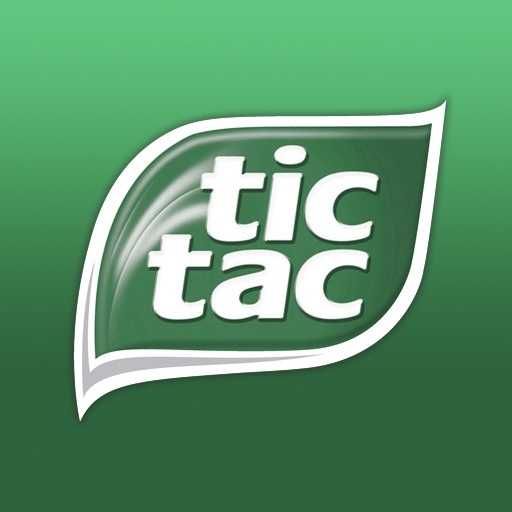 See how your favourite flavour compares to the rest of the world on the Tic Tac® Global Flavourboard. Note: Bluetooth performance and connection speed can vary between devices. Please allow time for devices to successfully connect when sharing.